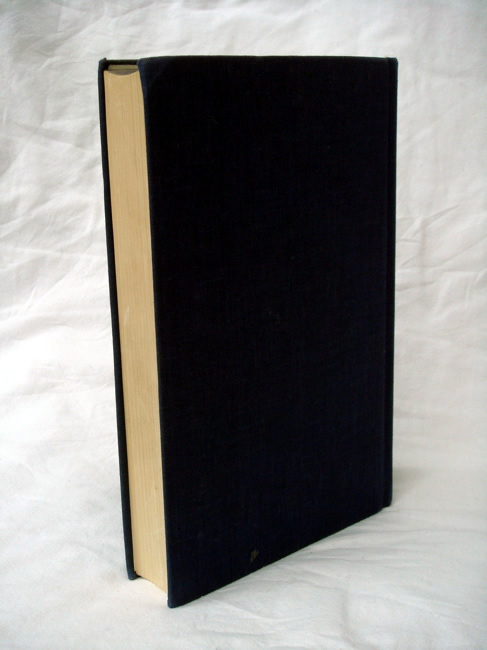 #PC000009 - The Silmarillion, London George Allen & Unwin, 1977. First Edition. 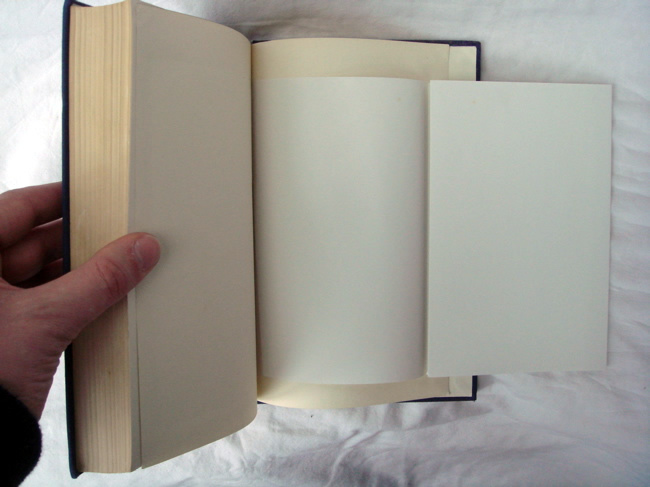 Publisher salemans dummy copy used in advance of the books publication - This sample book prints the half-title, title pages, copyright page and the first 32 pages of the text followed by a couple of hundred blank pages to fill out the book. 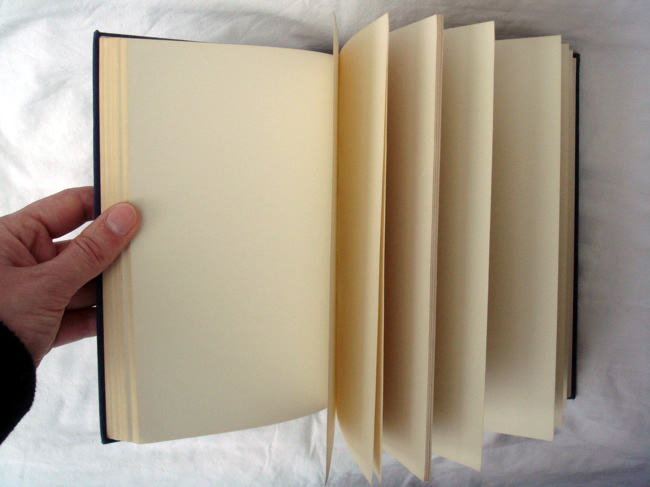 This sample book prints the half-title, title pages, copyright page and the first 32 pages of the text followed by a couple of hundred blank pages to fill out the book. 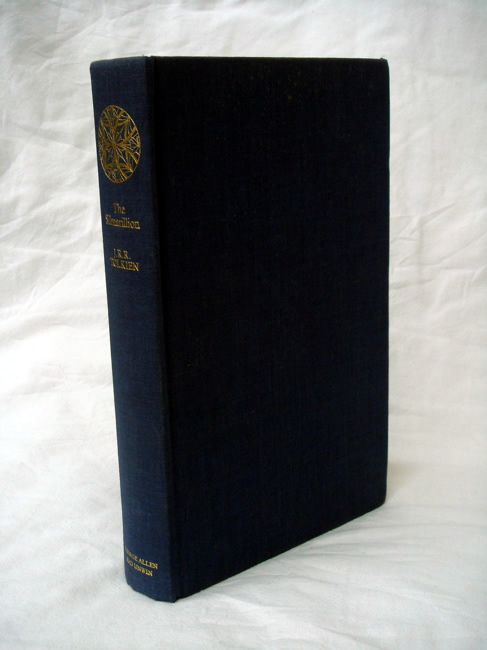 The Silmarillion, London George Allen & Unwin, 1977. First Edition. 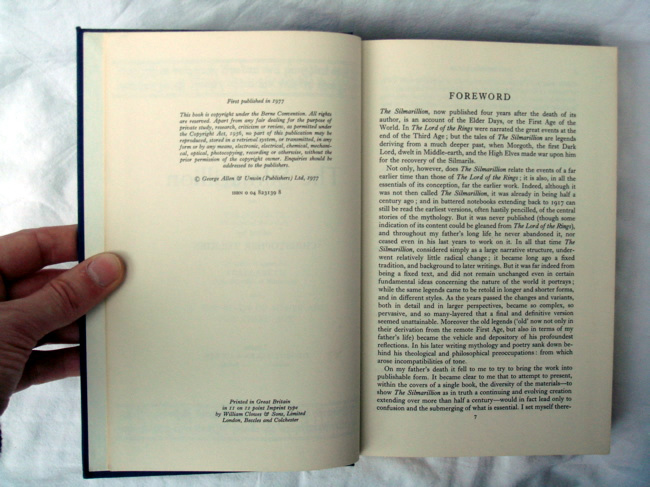 Publisher salemans dummy copy used in advance of the books publication. With a long blank folded sheet at the rear as a mockup for the map that would be in the finished book. Bound in blue cloth with the stamping and decoration the same as that of eventually used in the finished book. As New, Mint condition. Scarce in any condition.